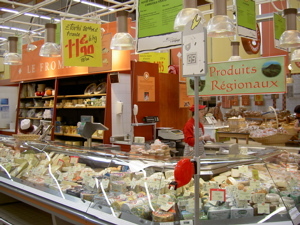 ← Un village dans le sud de la france. 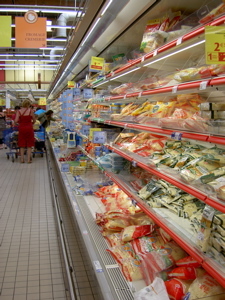 A hypermarché is a humongous supermarket where you can buy food, DIY stuff, sports goods, and electronics. 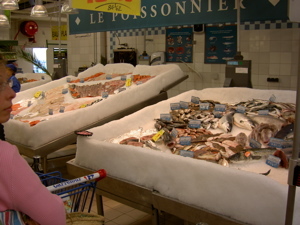 As soon as we arrived, we went to an hypermarché called Carrefor near our village. There were many kinds of fish. When I was taking this picture, people were laughing at me. Yeah, yeah, I am a typical Japanese. 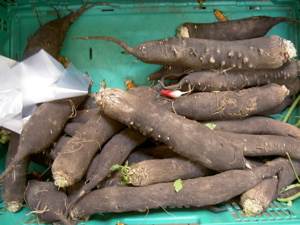 I saw black radishes for the first time. and here! 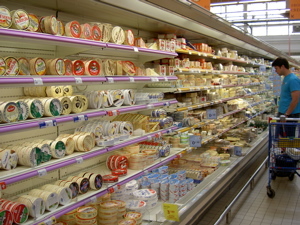 Too many kinds of cheese … No wonder French people are cheesy. 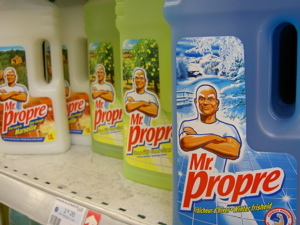 Mr. Clean looked like a French monsieur in France. This entry was posted in FRANCE, Travel. Bookmark the permalink.